Our pets are part of the family and we love them dearly. But you cannot tell them to wash their paws before they come in to the house or clean off their fur. Many pet owners try to clean their pets when they come in from outside, but it is next to impossible to remove everything, including dust and dander that is on their fur. Much of this material transfers to our furniture and carpets and after a while they can take on a very soiled look. This is when you need to have your furniture cleaned by our quality upholstery cleaning in Moorestown, NJ technicians to remove all this dirt and dander. Even when you place a sheet, towel or blanket over the arm chair where your pet likes to spend all their time, some soiling takes place leaving the chair less than appealing for visitors or even yourself to use. Pets often have a favorite spot they like to use. Cats for example like to perch themselves on top of the couch so they can gaze out the window and watch the local birds in the tree just beyond their reach. You probably noticed that this spot is in worse shape than the rest of the couch. When guests come to visit, you may even place a blanket or pillow strategically to cover the excessive soiling left from your pet. Instead of being embarrassed and worried about your furniture looking less than appealing, why not arrange for our team of technicians to clean your furniture. They can focus on any spots that need a little more attention and make sure that your entire couch or chair is spotless again. 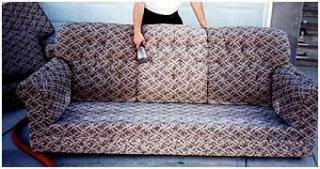 That is what quality upholstery cleaning in Moorestown, NJ is all about. Making your furniture look like new again. Call today to arrange for our team of professionals from Majestic, to clean your upholstery.